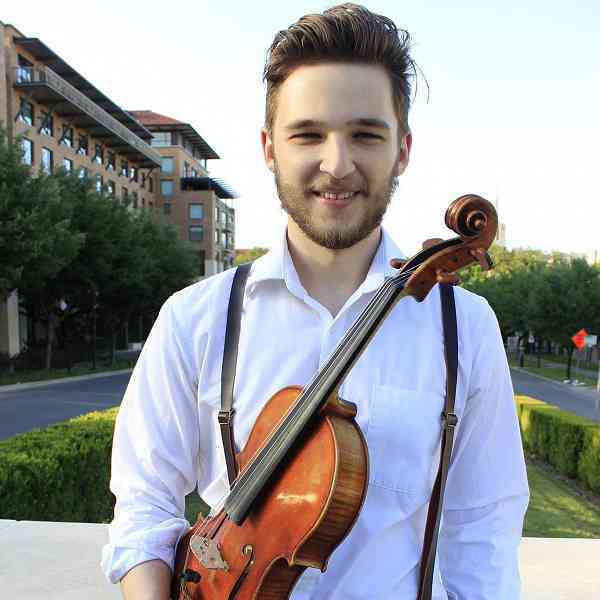 Violist Michael Zahlit is a passionate solo, orchestral, and chamber performer in the Chicago area. Michael has been principal violist and member of the Eastern Symphony Festival Orchestra, Interlochen Philharmonic, DePaul Symphony Orchestra, Northbrook Symphony, and Dubuque Symphony Orchestra. As both a soloist and orchestral player, Michael participated in international festivals, including the National Repertory Orchestra, Aspen Music Festival, Madeline Island, Montecito, Green Mountain, Eastern, and Interlochen Music Festivals and as well as the Haydn Music Festival held in Vienna, Austria. Michael has had the pleasure to work with and be coached by esteemed faculty including Robert Vernon, Don McInnes, Paul Coletti, Emerson String Quartet, and Joseph Silverstein. Michael graduated from the University of Texas at Austin with his Bachelor’s in music in Roger Myers’ studio. He recently received his Master’s from DePaul University under the tutelage of Rami Solomonow and Wei-Ting Kuo.